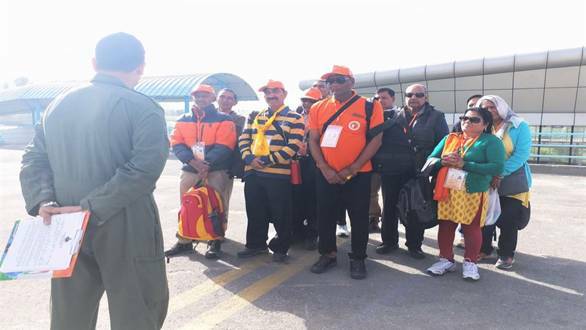 For three months, starting 18 Jun 2018, the Indian Air Force would create an airbridge between Pithoragarh and Gunji, in an effort to airlift 1080 registered passengers to Gunji to enable them to continue their journey for the coveted annual Kailash Mansarovar Yatra. The requirement for the IAF to pitch in arose, when the MEA approached the MoD for air effort between the places where the connectivity was envisaged to be poor. 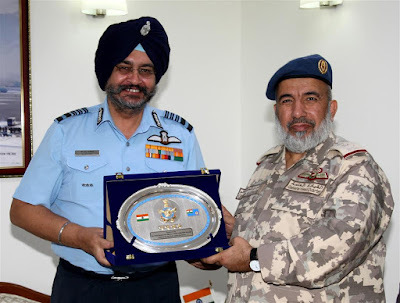 “The IAF is ever ready to take over any task assigned by the Govt and thereafter ensures that it is executed in a most professional manner” said Air Cmde Pendse of Western Air Command, who is overlooking the operations. The command had been chosen by Air HQ for this task, especially due to the experience its heptr pilots have in flying in mountainous terrain and landing at high altitudes, given the fact that Gunji is at an altitude of 3100 mts above the sea level. “We have deployed three MLH class of heptrs at Pithoragarh which would be carrying approximately 60-80 passengers per day” said the task force commander positioned at Pithoragarh. The heptrs, from the Kirpan and Nubra Warrior units of the IAF, would be deployed for about three months catering for the return journey as well and would fly about 300 hrs in the duration of the operations. 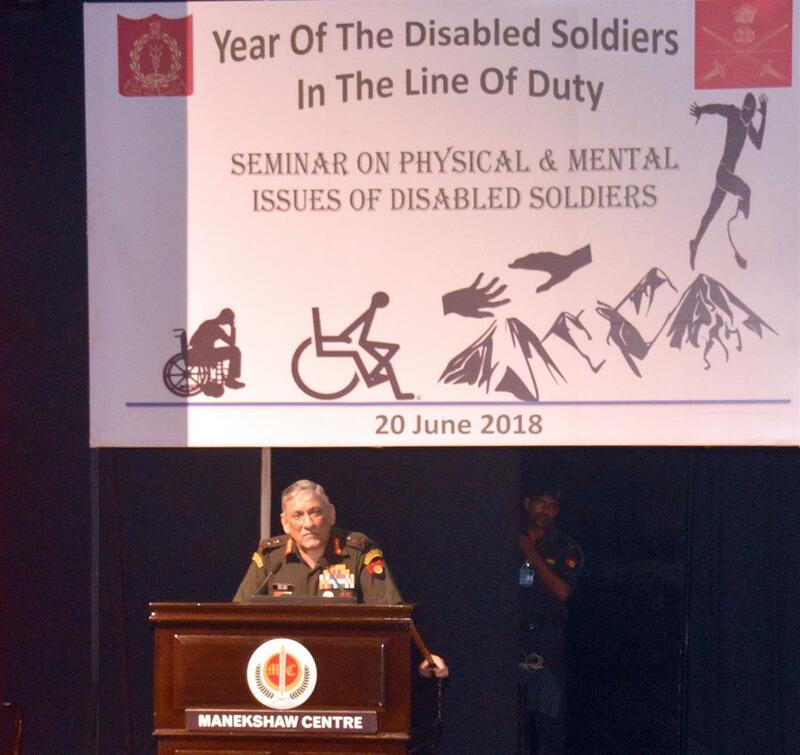 To commemorate the 'Year of Disabled Soldier in Line of Duty', Indian Army today honoured the soldiers who have been disabled while serving the nation in a seminar on 'Physical & Mental Issues of Disabled Soldiers' organised at Manekshaw Centre. 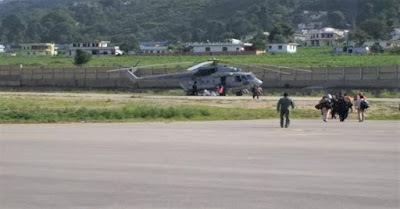 The event was attended by disabled soldiers and veterans, along with serving soldiers, officers and ladies. 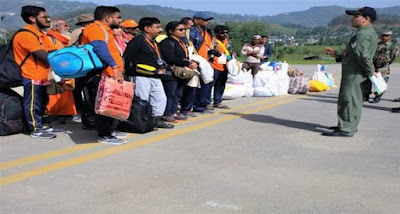 This event was used as an opportunity to connect with injured Indian Army bravehearts and acknowledge their service to the Nation. 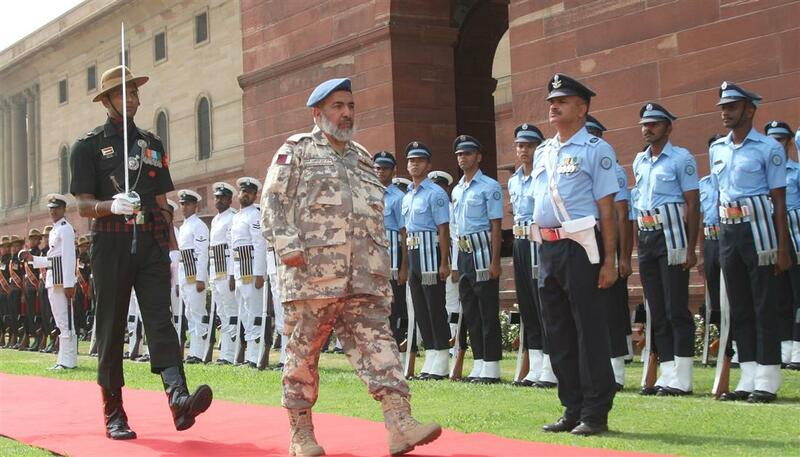 DGAFMS, Lt Gen Bipin Puri delivered the welcome address for the event which was presided over by Chief of Army Staff, Gen Bipin Rawat. 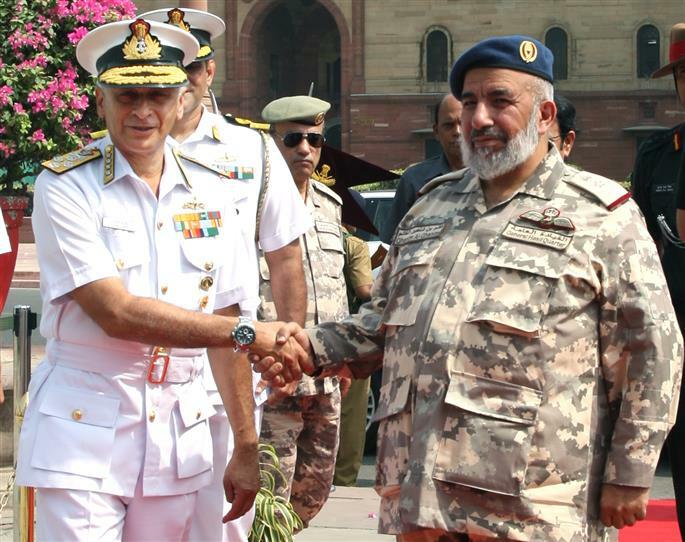 The COAS emphasized on the need to recognize both the physical and mental aspects of the disability and providing comprehensive care to the disabled soldiers to help them reintegrate into the society. 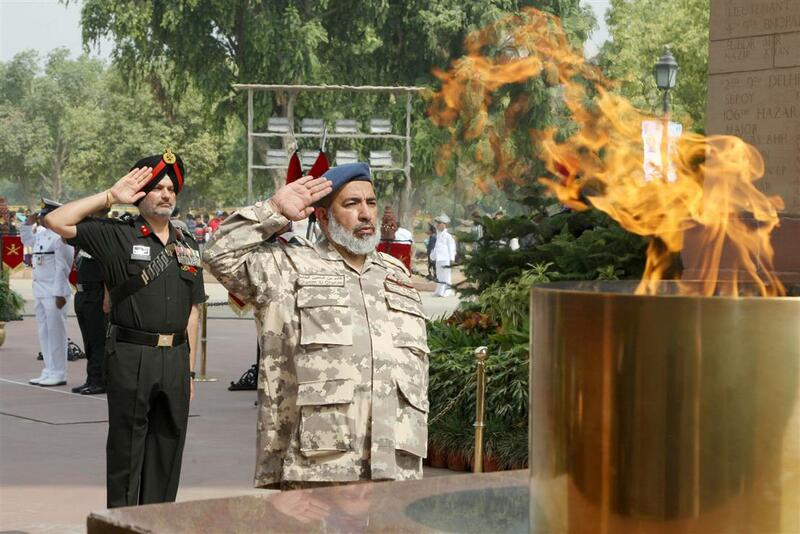 He also highlighted various disabled-friendly initiatives that have been taken in Armed Forces Hospitals. On the occasion, Maj DP Singh (Retd), a Kargil war veteran and celebrity blade runner also shared his experiences with the audience. Other speakers included Col Sachin Saxena, Psychiatrist from Base Hospital Delhi and Col AS Kalra, Prosthetic Surgeon from Artificial Limb Centre, Pune. 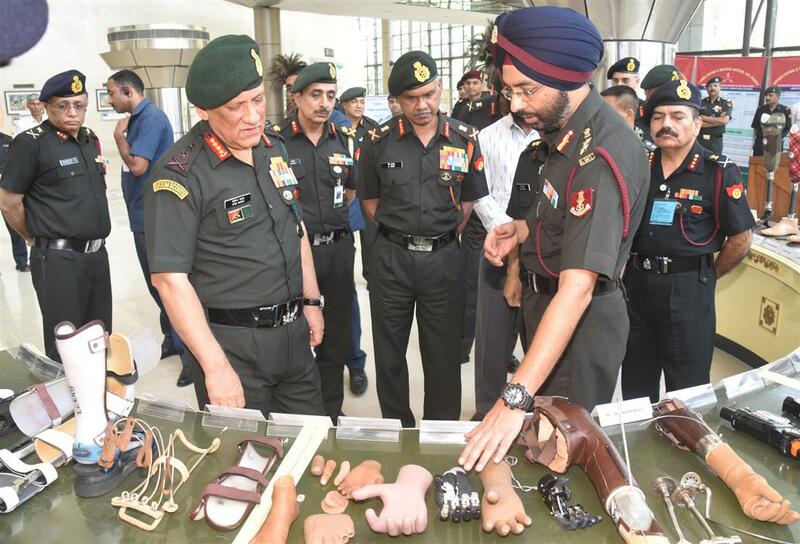 They spoke about the challenges faced by disabled soldiers and discussed the very pertinent issue of Post Traumatic Stress Disorder(PTSD) that afflicts a large proportion of disabled soldiers. 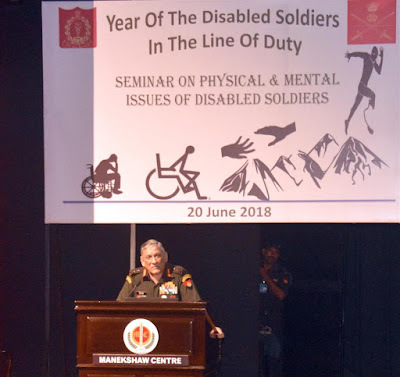 The aim of the Seminar was to provide an educative experience about the various stresses faced by the soldiers and their families, especially when a family member suffers from an injury leading to a devastating disability. A detailed account of various problems with special emphasis on effective solutions to combat them, was deliberated upon. This Seminar is one of the events which focuses to establish 'feel good' connect between disabled soldiers and the organisation and also aims to galvanise support for them. Chief of Qatar Armed Forces, Maj. Gen. (Pilot) Ghanim Bin Shaheen Al Ghanim, in New Delhi on India visit, meet IAF Chief BS Dhanoa & Indian Navy Chief Admiral Sunil Lanba.